A neuroma is frequently referred to as being a nerve tumor. Actually, a foot neuroma is a swelling of the tissue that occupies the space around the nerves that supply sensations of feeling and movement to your toes. As the nerves in the ball of the foot are irritated and inflamed, an annoying burning and tingling sensation is often noticed in the toes. 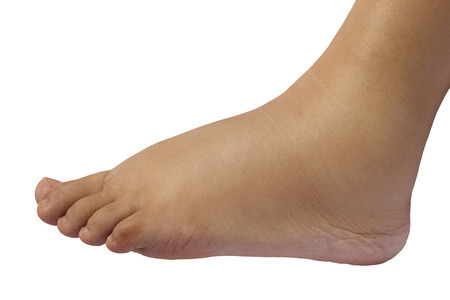 Foot neuromas can be difficult to diagnosis since they can have symptoms similar to other problems that affect the ball of the foot such as metatarsalgia. Therefore, it’s extremely important to contact your foot care professional for the correct diagnosis and proper care. Initially, your foot doctor may be able to detect a neuroma during a physical exam. Ultrasound and advanced imaging studies will be done to confirm the findings. X-rays and MRI studies will be used to determine the precise location of the growth. Proper arch support—Fully supporting the arch will shift your weight and decrease pressure on the nerves in the ball of the foot. Custom orthotic inserts—These specially designed shoe inserts are used to isolate the ball of the foot and shift the pressure away from the nerve that is causing the pain. Steroids—These medicines may be effective at eliminating pain when they are injected into the ball of the foot, but they may have undesirable side effects. Surgery—In the more difficult cases, surgery may be necessary to remove the neuroma from the nerve. This procedure may result in some loss of feeling but will eliminate the pain and tingling. If you feel that you are suffering from a foot neuroma, see your podiatrist for the proper diagnosis and treatment. The foot specialists at ETL Podiatry in Briarwood and Melville, NY have unparalleled experience in treating all aspects of foot and ankle problems. Our team of doctors is dedicated to serving you with all of the newest diagnostic and treatment technologies. If you have any questions or would like to make an appointment, please feel free to contact one of our offices located in Melville, NY (631)-549-8637 and Briarwood, NY (718)-657-8921.